“You have cancer.” Those three words are the scariest thing anyone can hear. So many thoughts would flash through my mind if I were the one diagnosed with cancer. “Are you sure? But that can’t be right, can it? What do I do now?” The most important thing to do would be to gather as much information as possible to make the right decisions for myself. This may mean getting a second or even third opinion from a specialist. The best thing to do is to do your homework. Research anything that you think may help make this diagnosis easier. There are many ways of gathering information about cancer diagnoses and treatments. Information is available everywhere, from doctors’ offices, the library and also the internet. Understanding your cancer diagnosis will help you have an active role in your care and make decisions that are right for you. Although the patient is the one who has received a diagnosis of cancer, they most likely have many people in their life who care about them and want to help. The lines of communication with these people should be kept open. A cancer diagnosis affects the entire family. 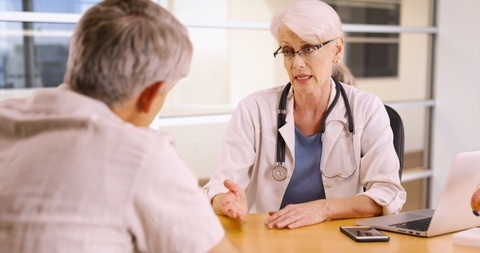 Maintain honest, two-way communication with loved ones, doctors and others after a cancer diagnosis. Some people may feel particularly isolated if they try to put up a strong front or people try to protect them from bad news. If you and others express your emotions honestly, you can all gain strength from each other. Deciding on what type of treatment is best for you is a very important thing to do after receiving a diagnosis of cancer. This would depend on the details of your cancer, such as size, location, if it has metastasized, how long it has been there, the patient’s age, what type of treatment the patient wants and how aggressive the patient would like treatment to be. Types of treatment vary from surgery, chemotherapy, radiation, medication, gene therapy, immunotherapy, clinical trials, and various alternative treatments. Some cancers need one kind of treatment while others need a combination of several kinds. Side effects of treatment should also be considered. The goals of therapy vary and only you can decide what side effects you’re willing to accept to achieve your goal. For this essay I read the extraordinary story of James O’Connor on the website www.cancermonthly.com. James O’Connor was diagnosed with pleural mesothelioma in October of 2001. Its cause was his exposure to asbestos when he was younger. Pleural mesothelioma accounts for approximately three-quarters of all mesothelioma cases. Asbestos exposure is the primary cause, but it can also be due to factors such as genetics, smoking, and exposure to the simian virus. Symptoms of mesothelioma take a long period of time to occur. They generally do not occur until twenty to thirty years after initial exposure to the before mentioned risk factors. In some cases symptoms have not occurred until approximately fifty years after exposure. Pleural mesothelioma is a very difficult cancer to treat due to the symptoms of the disease not showing up until such a long time after exposure to risk factors. These symptoms include shortness of breath, chest pain, coughing, stomach upset, and fatigue. When diagnosed, James was given less than a year to live. Most doctors give patients diagnosed with pleural mesothelioma a survival rate of eight to twelve months. James rejected this prediction and decided he was going to fight the cancer. He chose an alternative route for his cancer treatment. It consisted of numerous daily supplements, dietary changes, boosting his immune system, and self-discipline to enable him to stick to this intense regimen. James lived seven more years after his diagnosis because he chose not to give up and accept the prognosis given to him. If I were to receive a diagnosis of cancer I would hope that I would face it with strength and courage like James O’Connor. His story is truly inspirational. He was very brave to have fought as hard as he did to find a treatment plan that worked for him and allowed him to live his life as well as he could with such a serious illness. It is also proof that if you are determined to not accept the traditional treatment given for someone with your type of cancer it does not mean that is the only thing available to help you.